Source: PA Environment Digest Blog. A recent webinar took on the big topic of how to integrate bike share and transit, showing that the key is coordination and perseverance. 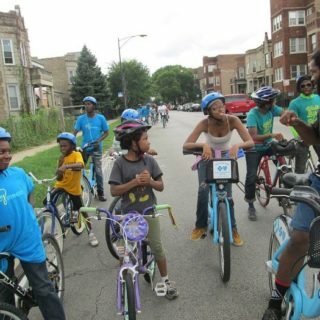 The Linking Bike Share and Transit webinar was a collaboration between the Better Bike Share Partnership and the National Association of City Transportation Officials. 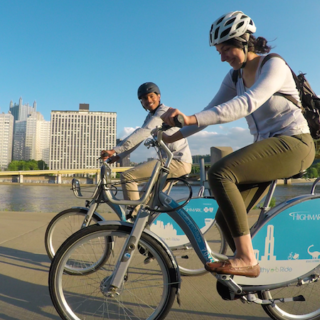 Staff from Pittsburgh and Milwaukee weighed in on how exactly they linked their bike share and transit systems, and what the user experience is like on the ground. In September of 2017, Pittsburgh become the first U.S. city to offer free Healthy Ride bike share access to transit riders (in 15-minute increments). In the process, the Healthy Ride moved the needle forward on what meaningful system integration and collaboration could look like. Pittsburgh Bike Share, the managing entity of Healthy Ride, explained during the webinar that the most important element is to take care of the tricky details in order to make it hard for the transit agency to say “no” to connecting the systems. Adams Carroll, Director of Operations for Pittsburgh Bike Share, explained how they had system integration in mind even from Healthy Ride’s launch in 2015. “We tried to design service to be more like a transit trip,” he said. “We were one of first systems to push single-trip pricing.” The system currently has 50 stations with 500 bikes, and will be expanding in 2018. David White, Executive Director of Pittsburgh Bike Share, describes how they made it easy for the Port Authority (the local transit agency) to say “yes” to linking services. “We told them we would do it without any type of accounting integration, which was the big holdup,” said White. The presenters then showed a video of how, on the user end, the process of connecting the transit card to bike share can take as little as 30 seconds. Pittsburgh is still in the midst of its six-month pilot of the linked systems. But initial results show a 4.3% increase in Healthy Ride ridership, as opposed to previously flat growth. And while overall revenues have dropped slightly, Carroll and White are hopeful that they could find a corporate sponsor to help cover additional costs, given how the new feature has expanded access overall. “Bike share and transit can be mutually supportive and are more competitive with other modes when they are packages seamlessly,” said White as further support of the program. 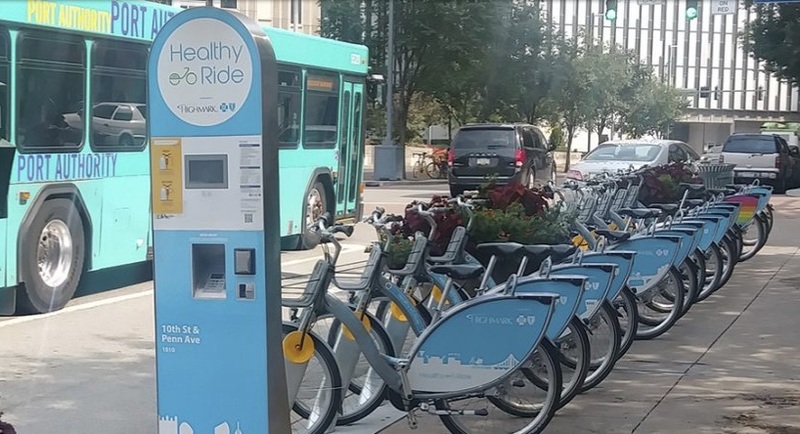 In Milwaukee, the process of linking bike share through the local transit card looked a little different, and advertising has also been a big part of connecting the two systems. Because the technology between the Milwaukee County Transit System and Bublr Bikes is different (unlike the similar RFID readers on both bikes and buses in Pittsburgh), the combined card in Milwaukee is actually two separate cards brought together. Users acquire a special Bublr Bikes sticker that attaches to the MCTS fare card and allows for connection to both systems. “There are no cross-talk or error signals because they are on completely different frequencies,” said James Davies, Senior Director of Operations and Planning at Bublr Bikes. Another innovation has been to add information about nearby Bublr stations on bus verbal announcement systems. Milwaukee has also been working on co-branding the bikes with the MCTS logo, and are exploring the idea of joint station maintenance and other collaborative processes. 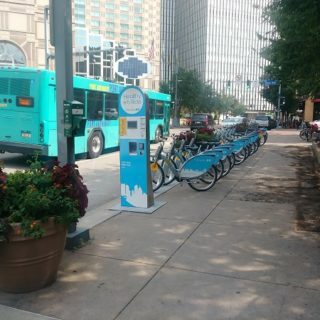 Bike share professionals and advocates would be well-advised to keep an eye on both Pittsburgh and Milwaukee’s experiments with transit connectivity as the systems grow and evolve. >Watch the full webinar replay here.